What seemed to be an overnight sensation during SXSW just a week ago, live streaming app Meerkat has now caught the attention of the media, music and tech industries. With the ability to tap into a large audience, Meerkat has the potential to be an influential tool for business owners, journalists, digital marketers and everyday Joes. While still in the early stages of implementation, app users are finding creative and engaging ways to expand their brand and tell their story. Meerkat is designed to allow anyone with an iPhone or an iPad to stream live video which connects through Twitter. At launch, users had the same follows and followers as they did on Twitter. But as the social networking site purchased a similar streaming service, Periscope, last month, it was only a matter of time before Twitter blocked its social graph for the Meerkat app. Meerkat’s creator and CEO Ben Rubin knew competition was inevitable, and it will be interesting to see how Twitter allows for certain functionality down the line. For now, Meerkat users can still use their Twitter usernames and passwords to connect; it is just a matter of establishing their own network within the app. When logged in, you will be able to see what live streams are happening in that moment and search by hashtags. Additionally, when streams start, a tweet will be sent out with the live feed link and will be tagged with the hashtag #meerkat. The stream is not recorded, unless viewers archive it under YouTube via #Katch – with users’ approval. Typically though, archiving is not the point. Meerkat is about catching the video in the moment and interacting live with fans and viewers. 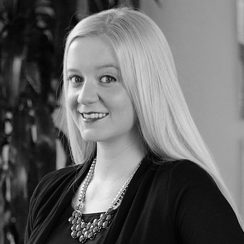 Meagan Nordmann, digital marketing lead for @Pay, attended SXSW and was taken aback by how fast Meerkat caught on. She was introduced to the app during the first night’s Startup Crawl and then used it to find where she should go to next at the festival. 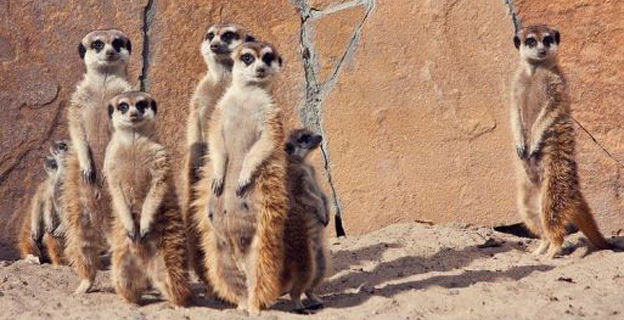 “The adoption of Meerkat at SXSW was certainly viral. Several days in, I was on the dance floor of a great band, and realized I couldn’t dance because there were too many people meerkatting the show,” she said. Journalists, politicians, technology and consumer brands are already using the app to broadcast their stories and the easy-to-use interface allows anyone the chance to promote or share an experience. 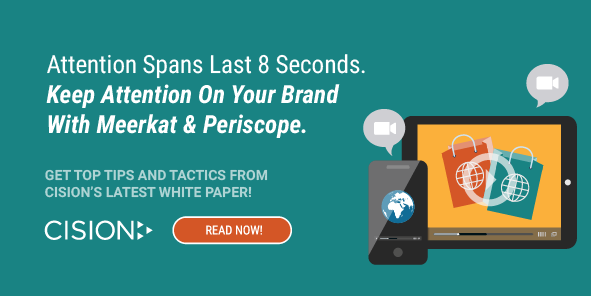 Want more Meerkat & Periscope best practices? 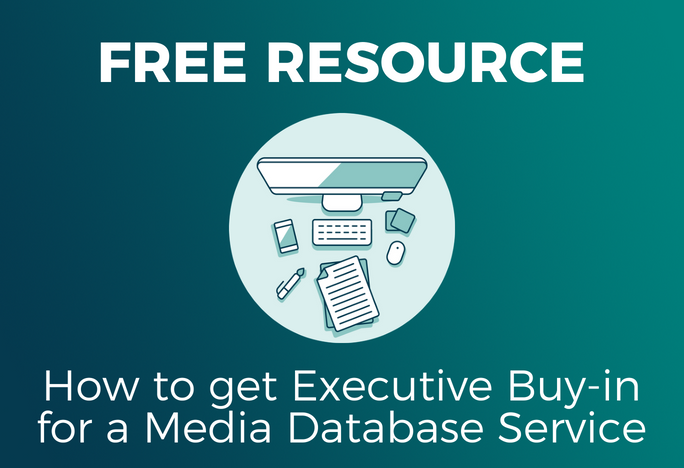 Click here for our free white paper! One challenge that that is an obvious concern is privacy and potential for abuse. There’s a gray area that has not yet been defined since it’s hard to tell how the app will progress. With Twitter’s acquisition of Meerkat competitor Periscope, will the app have a lasting presence? Or will it be killed off before it even had a chance to succeed? 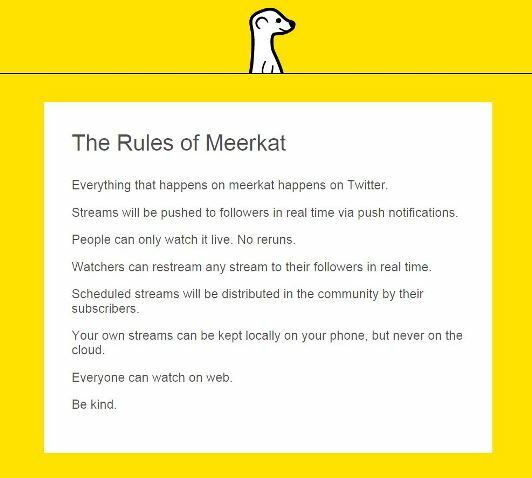 Legalities aside, Meerkat has shown that the social media community is ready, and excited, for live face to face interaction.